You can research thousands of YouTube tags for every your video. But it only has a big influence, when you have a comprehensive, understandable content plan. Why do you need a content plan? Content plan is an attribute of professional approach in you business. Without it, you are amateur or tester. With good YouTube channel name and detailed content plan you raise your business on the second level. There are two main ways to form the content plan. 1. 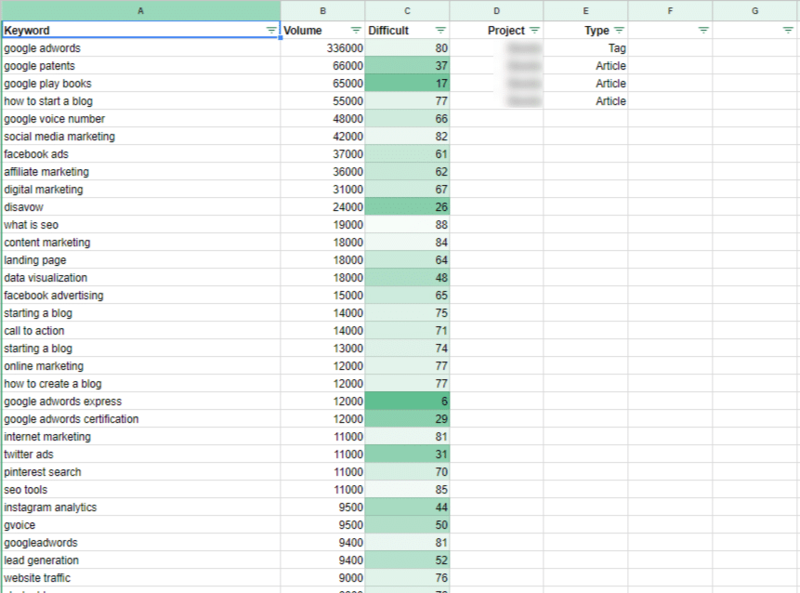 Content plan, which is built on collected keywords from your competitors. In this case, you use your imagination rarely. You have a good map of popularity and difficulty of exact theme. It helps to prioritaze your activity very much. 2. Content plan, which is built on your own ideas. In this way, you add titles of articles, videos from your own experience and imagination. The plus of this approach is follow. The are a lot of themes which are viewers can be interested, but they don’t know how to find them. They even can’t know that these themes exist. The professionals in every sphere have a lot of useful information that can’t be found by popular queries. And only after creating a list of videos you want to produce, you are research relevant keywords to your videos. The best way is to combine these two approaches. The first approach helps to create good ranked videos on early stages. As a result, you can test some hypotheses very quickly. The second approach is really great for bloggers, who has already have good base of subscribers and who is experienced in a particular sphere. In fact, we can compose thousands video ideas for YouTube. But you’ll only disorientated with such big list. That’s why we divide good video ideas by the most important parameters. Such dividing, transform your abstractive ideas in structured form. Your level is a very abstractive parameter. So, in this case, we evaluate 3 key points: 1. The attainments in your professional sphere. Smart people understand very well, what they know, and what they don’t know. It’s important mind. 2. Your experience in video producing. Depending on your skills in this sphere you videos can be very different. a) Good producer can make only a few videos, but its quality bring him all results he wants. Concentrate on your advantages and invest time on better content and improving quality score. b) Beginner needs to make more tests with the worst content. Create videos regularly regardless of the bad quality and find themes, which people like to see on your channel. 3. Your skills in entrepreneurship and business. We guess these skills are the most important. You should imagine how all elements of your system work: SEO, viral effect, analytics, monetization etc. a) If you are beginner in the business, don’t rush to get a great revenue on the first stage. Research ideal technology for each step you use. And monetize your video as a test, at first. You need first traffic to understand your viewers, subscribers better. b) If you have experience and some results in SEO and business, you’ll spent less time to create the first MVP (minimal valuable product). 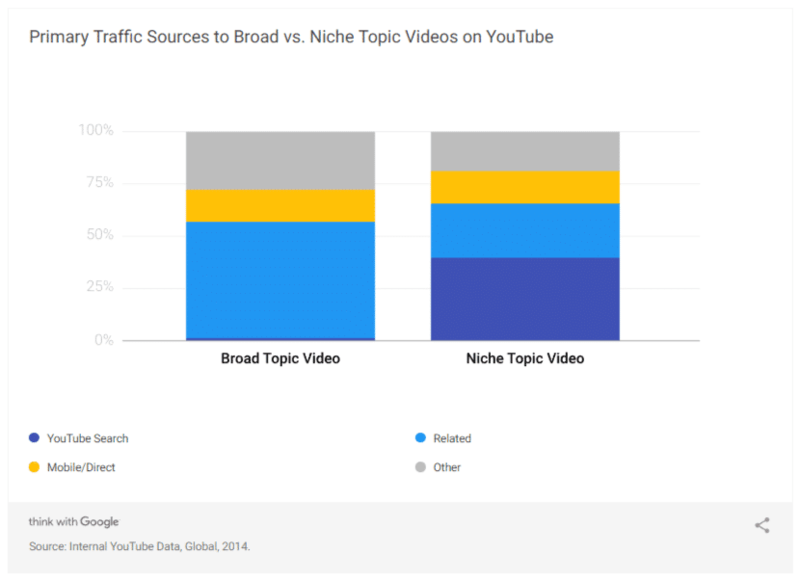 So, spend more time on research good niches, understanding YouTube trends and new rules. Videos ‘How it was created’? In our guide about the most popular YouTube tags you can find interesting fact. Amount that Google paid out to YouTube content owners in 2015 is $1 billion. This number looks impressive. But the key point is that YouTube audience and their spent time are growing. And you should remeber, that YouTube Partner Program is only one of ways to monetize your channel. Let see on main purposes of YouTube channels owners which can be. 1. YouTube as one of the channels for lead generation. In this point, you don’t concentrate on the quantitive of traffic. Your main purpose is to find your target audience and get more leads as can be. More views can bring more leads, but it’s not a key metric. Good YouTube video ideas in this case very depend on your niche. But there are such general ideas, which will bring result with high probability. ‘How to’ videos (people can have hundreds of questions for one product). Deep videoreview of your product/service. Videoreview of your competitors’ product/service. Detailed video about your office location and how to find you. Q&A videos (collect all questions from clients and answer on them. Video about yourself ( a short video, which describes how can you help to others people, your advantages and disadvantages). Describe your profession, job (how was your profession born, what its main purposes). Tell about your education, university. Share about your the best teachers and them influence on you. Speak about some key points, axioms in your profession. Talk about the myths in your profession. Show the most popular mistakes in your profession. 3. YouTube channel as a full-cycle business. In this case, your second level metrics are number of subscribers and number of views. Your first level metrics depends on your type of monetization. b) For product placement model – the number of placement orders and average cost for one placement. Use popularity of others people. Make a videointerview with famous persons. Add not your own videos with editing and great SEO optimization. Make a videos of social surveys. As you see, good results need deep understanding of your audience, their needs, own possibilities and goals. You should rotate the time, when you should think, and time when you should work by exact technology. We are writing about such methods, because we are using them and they bring results.